Organizers of the second annual Independent Games Festival China have revealed finalists for both the Main and Student competitions, including over 10 stand-out indie games from across Asia. High-quality submissions for the second iteration of the event -- a newly formed sister competition to the main yearly Independent Games Festival in San Francisco -- were received from multiple Chinese provinces, Hong Kong, Taiwan, Singapore, South Korea, Australia, New Zealand, Iran, India and beyond. Finalists were chosen by a panel of distinguished local judges, including representatives from Shanda Games, Tencent, IGDA Shanghai, TipCat Interactive and more. IGF China finalists are invited to Shanghai for the Game Developers Conference China event from December 5th to 7th, where they will be showing their games at a special Pavilion on the Expo Floor, open to all GDC China attendees. In addition, finalists are eligible to win up to RMB61,000 ($9,100) in cash prizes, as well as specially created awards and All Access Passes to GDC San Francisco 2011 worth thousands of dollars. 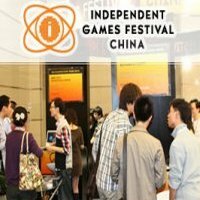 The winners of IGF China in categories including Best Game, Mobile Best Game, Excellence in Art Direction, Excellence in Visual Arts, Technical Excellence, and Student awards will be announced during the 2010 Game Developers Conference China at a special IGF Awards ceremony. The Independent Games Festival's outreach into Asia is part of GDC China -- part of the UBM TechWeb Game Network, as is this website. GDC China returns to the Shanghai International Convention Center on December 5-7th, and early registration is open until November 5th. Further information on IGF China can be found at the event's official website.